Monday (10/20)- Introduction to Buckner Week and the infamous Buckner poem composed by Raze from 90 Proof Sports. 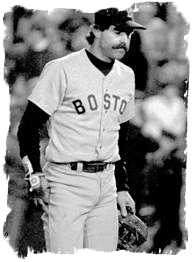 Tuesday (10/21)- The Unabomber is revealed to be not Ted Kaczynski, but Bill Buckner. Wednesday (10/22)- It's not easy being a Buckner. Here's proof. Thursday (10/23)- The newest holiday craze is here courtesy of 90 Proof Sports. Friday (10/24)- Buckner Week's final day brings forth a big announcement.